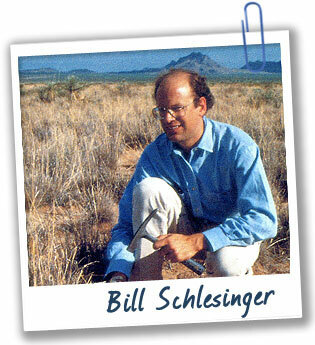 Bill Schlesinger was the first scientist to calculate the amount of carbon that was stored in the world’s soils. Now he studies the role soils play in global warming so we can manage our soils—and our climate. How did you become interested in soils? I loved to play in the dirt. I noticed that some soils were rich in clay, others were rocky, and others loamy. After a heavy rain, I couldn’t help but notice that some soils drained quickly while others held water. What excites you about studying soils?